Mandela Trilogy employs a unique fusion of traditional Xhosa songs, jazz tunes and modern music in honour of one of the world’s most inspiring statesmen. The work begins with Mandela’s teenage years in rural Qunu, culminating in the young man’s initiation into adulthood and his decision to leave his village for the bright lights of Johannesburg. The jazz music of the second act depicts the vibrant life of 1950s Sophiatown as it falls under the shadow of the apartheid security forces. The final act ends with Mandela’s years on Robben Island and his release from prison, encompassing themes of revolution, incarceration, and freedom. 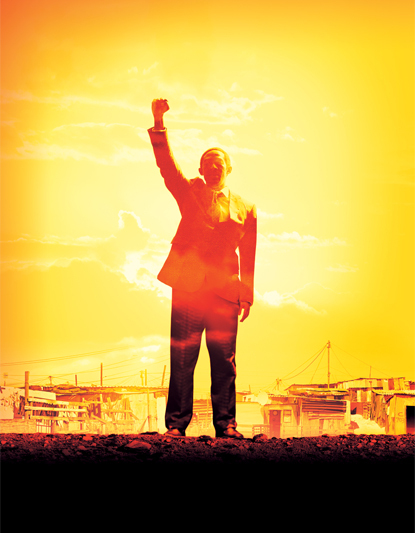 Mandela Trilogy made its European premiere at the Wales Millennium Centre in 2012 and has since been performed in Dubai, Hong Kong, Germany, Italy and the United Kingdom.